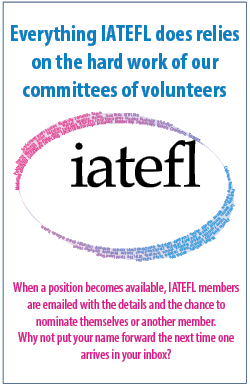 Welcome to the January edition of our eBulletin coming to you with less than three months to the IATEFL annual conference and PCEs in Liverpool! We hope you made the best of our early-bird registration discount, but if you haven’t yet registered, why not take a quick look at the conference brochure and the variety of PCE themes and activities from our Special Interest Groups (SIGs) below? We are sure you will find lots of good reasons to join us in Liverpool and to learn from, and share with colleagues from across the globe. 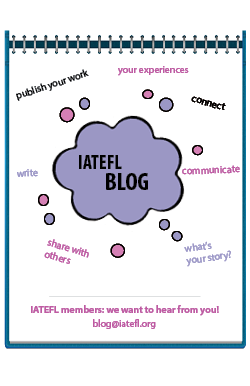 In this edition of the eBulletin, 14 of our 16 SIGs bring you news of face-to-face and online professional development events they have put together for you over the next few months. 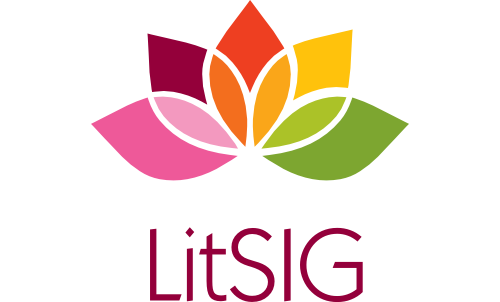 Read on to find out more about the focus and speakers of their different pre-conference events as well as SIG showcase events happening during the annual conference. 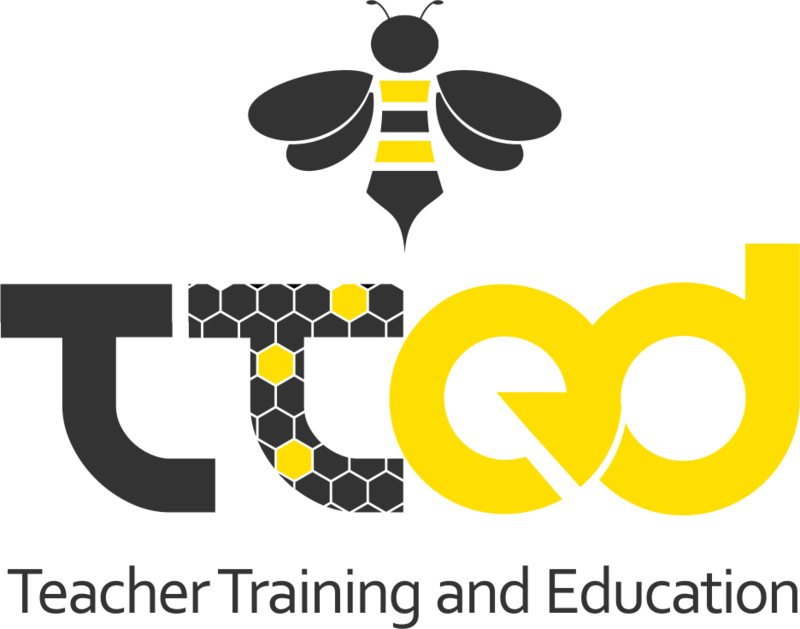 What’s more, there is a line-up of webinars, podcasts and online discussions on a variety of themes and issues related to the research and practice of English language (teacher) education. 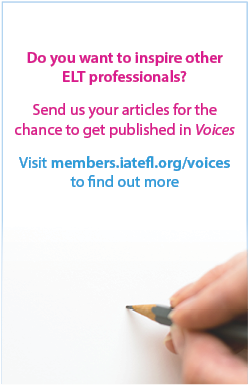 Finally, following the launch of our new-look Voices recently, look out for our new style eBulletin next month. 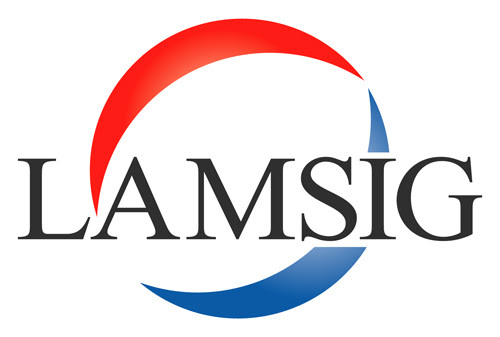 We hope you will find something here that responds to your professional needs and interests and that you will be inspired to contribute to the work of at least one of our SIGs in the near future. With best wishes for an amazing 2019 from all of us at PubsCom. 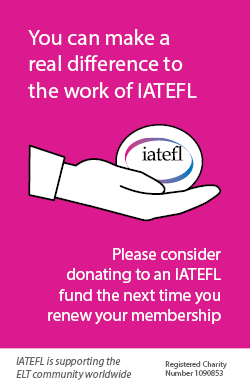 You are receiving this email as you are a member of IATEFL have subscribed to our eBulletin. 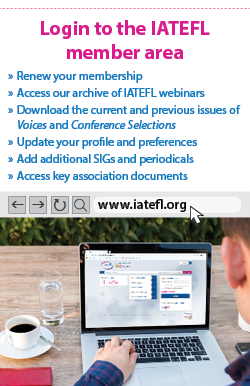 If you would like to review your email preferences please login to the member area of the IATEFL website.